Here's one more testament to the concept of necessity being the mother of invention. I had an eggplant, a lemon, and parsley so I decided it was time to make baba ghanouj. I roasted the eggplant, juiced the lemon, grated the garlic, chopped the parsley and sliced the scallions. But when it was time to add the tahini, I realized that it had been over a year (maybe even over two years) since I had used it. I opened the jar and took a sniff. It smelled ok, but it had an odd texture. I was afraid to use it. That happens often to me with tahini. I will use it frequently for a while, and then I will forget about it. And it is expensive - too expensive to waste the way I had to waste this batch. Not to mention that I was stuck with all of the other ingredients ready to go. What to do? I always have sesame seeds in the freezer, so the thought occurred to me that I could try to make my own tahini. I wasn't sure it would work, so I pulled out the small food processing attachment to my stick blender (and let me just say again how much I LOVE my stick blender) and started with 2 tablespoons of seeds. I had to keep opening it up and pushing the seeds down, but it did start to look a little like tahini. I added a little olive oil to help smooth it out and ended up with a thick paste that looked more chunky than creamy, but it did the trick and saved my baba ghanouj. Happy with my success, I went online to see if I could improve the process. I did find a few suggestions that made sense. The first was to toast the seeds before grinding them. That not only made a difference in the flavor, but seemed to help break down the seeds into a paste. 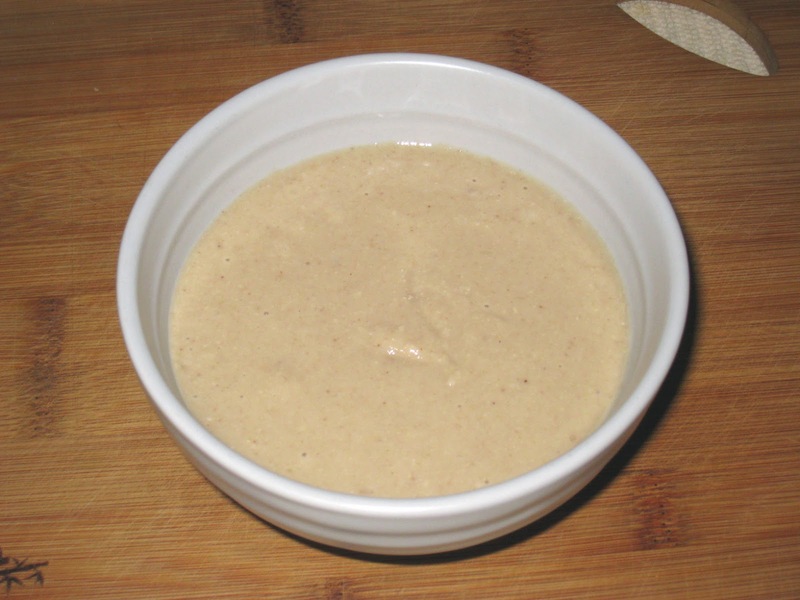 I now make my own tahini. It does not taste better than store-bought, and actually has more ingredients than most (the ones I checked all just have sesame seeds listed under ingredients). But it tastes the same to me as store bought and I can make it in the quantities that I need, as I need it. That makes it well worth the effort. You don't really need a recipe for this, since the ratio of olive oil to sesame seeds is dependent on how thick you want your tahini to be. Just put the sesame seeds and olive oil into the food processor and let it rip until you have the consistency you desire. I did find this post by Kimberly over at The Daring Gourmet to be helpful, and so might you.